This entry was posted on Wednesday, April 11th, 2012 at 4:56 PM and is filed under 2012 Minicamp, 2012 New York Giants, 2012 NFL Draft, 2012 NFL Draft Class, 2012 NFL Fantasy Football, 2012 NFL Free Agency, 2012 NFL Schedule, 2012 NFL Training Camp, Big Blue, Bill Parcells, Chris Mara, East Rutherford, Eli Manning, Ernie Accorsi, G-Men, George Martin, Giants, Giants Coaches, Giants Draft, Giants Dynasty Team, Giants Front Office, Giants History, Giants Injuries, Giants Roster, Giants Stadium, Giants Training Camp, Giants Transactions, Jerry Reese, John Mara, Jonathan Tisch, Justin Tuck, Kevin Gilbride, MetLife Stadium, New Jersey, New Meadowlands Stadium, New York, New York Football Giants, New York Giants, New York Giants Dynasty Team, NFC East, NFL, NFL Draft, NFL New York Giants, NFL Playoffs, NFL Schedule, Nilay Shah, NY Giants, NYG, NYG Blog, NYG Charity, NYG Draft, NYG Exclusive, NYG Fantasy Football, NYG Minicamp, NYG Playoffs, NYG Preseason, NYG Regular Season, NYG Reporter, NYG Road Warriors, NYG Schedule, NYG Story, NYG Trade News, NYG Training Camp, NYG Update, NYG Website, nygreporter, Pat Hanlon, Perry Fewell, Steve Tisch, Timex Performance Center, Tom Coughlin, Tom Quinn, University of Albany, Wellington Mara, Wounded Warrior Project. You can follow any responses to this entry through the RSS 2.0 feed. You can leave a response, or trackback from your own site. 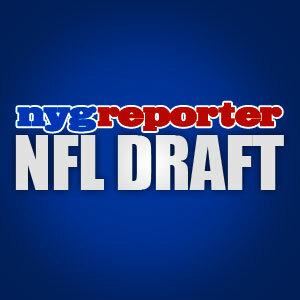 4 Responses to Would You Trade the Giants First Round Pick in the Draft? they did get rivers for a fifth round pick with the bengals minutes ago.and its official with tackle sean lockler.i would keep the 1st round pick,because the time is now to make a move with that pick.busy day for big blue,i do not like trading 5th round for rivers,the guy is an injury report.to me its a head scratcher but i heard it might be a flip flop opportunity for the g-men. Well it shows where Jerry Reese is concerned with. I heard that Rivers has been injured every year since being drafted but he was a first round pick. I hope he can get his career back on track and I absolutely love the young second year LB’s who did a great job last season. The Giants LB’s are deeper then people think. i agree,i love the g-mens LBs.g-men just picked up antwan moldan from the pats at the corner position because of ross.good pick up,jerrys on it. Reese is a beast with the draft!